On Thursday playing for the Castlereagh Veterans he had his ball deflected from a bunker on the first hole at Kirkistown Golf club by a cat which appeared onto the course. Friday he welcomed his big “0” birthday and his playing buddies gave him some balls as a present. 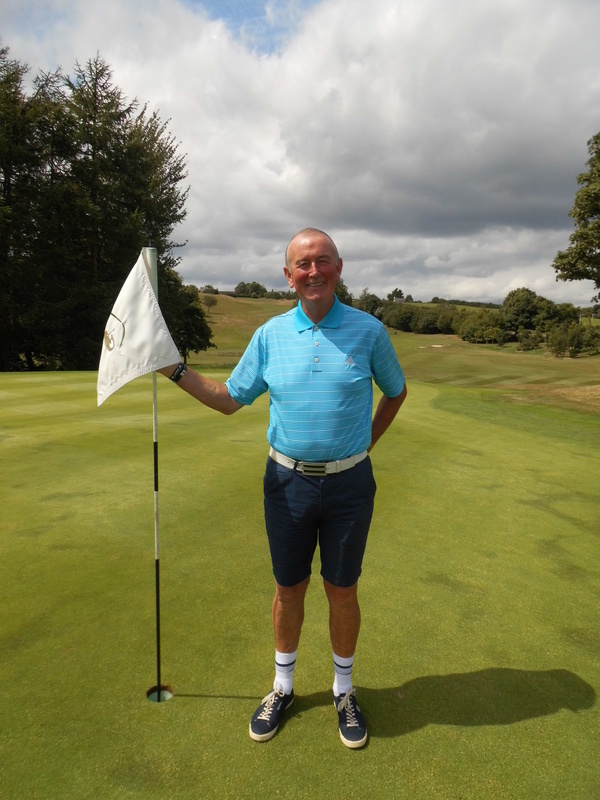 Whilst playing in a Texas scramble competition on Saturday with one of his golf ball presents, probably a yellow ball, Jackie approached the par 3 3rd hole some 143 yards at Castlereagh Hills where he achieved every golfer’s ultimate dream “A HOLE IN ONE”. Norman Baird and Trevor Reilly partners on the day duly congratulated Jackie with the usual vigour and banter. Well Done Jackie and a very happy birthday from all at Castlereagh Hills Golf Club…..see you at the 19th!